Galveston Railroad Museum In Texas. Galveston railroad museum displays many railroad collections before 1960s. 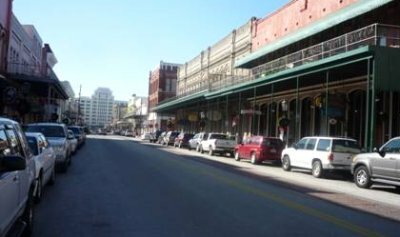 It is a potential place for Galveston tourism. The museum is located at 25th and Strand in Galveston, Texas. It is housed in the former Santa Fe Railroad station, at the head of The Strand. The Museum tells the story of the birth of railroading in Texas. Texas's first steam locomotive, the "General Sherman," arrived at the Port of Galveston in 1853. From that time till the 1960s railroad became the lifeblood of Texas commerce. Trade was so brisk in Galveston in the 1800s. Many goods like sugar were being carted by train to other nearby cities. The railroad expansion led to the provision of services to the Gulf region in Texas, Santa Fe, Houston and Henderson, Colorado, Missouri Pacific, and the Southern Pacific. Currently railroad activity is limited to the Galveston port. The museum has a lot of artifacts, rail equipment and utensil dating far back. Miniature trains and statutes are also on display. Find out more about the railroad museum here.